A beautyful angle for a beautifully refreshing place! I love this fountain and would definitely tempted to wade in on a warm day! 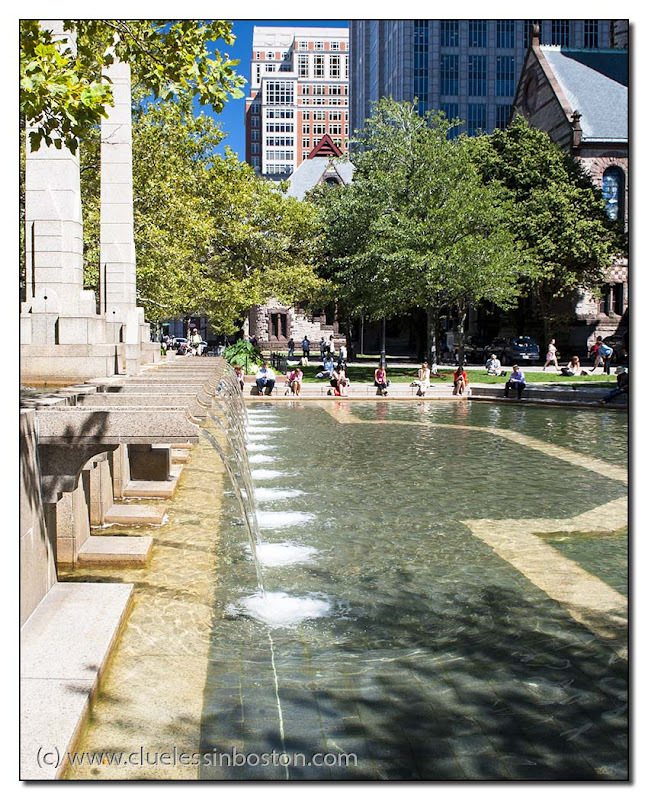 This fountain looks to be behind Trinity Church. Somehow I have missed seeing it. Thanks for the photo!